Starting this thread as part of the holiday season and to wish my Lotta Livin' friends Happy Holidays. So post any interesting holiday-related MCM photos. Here's mine, which appeared in the NYT Magazine this week. That's the Hollywood sign peeking through at the back. 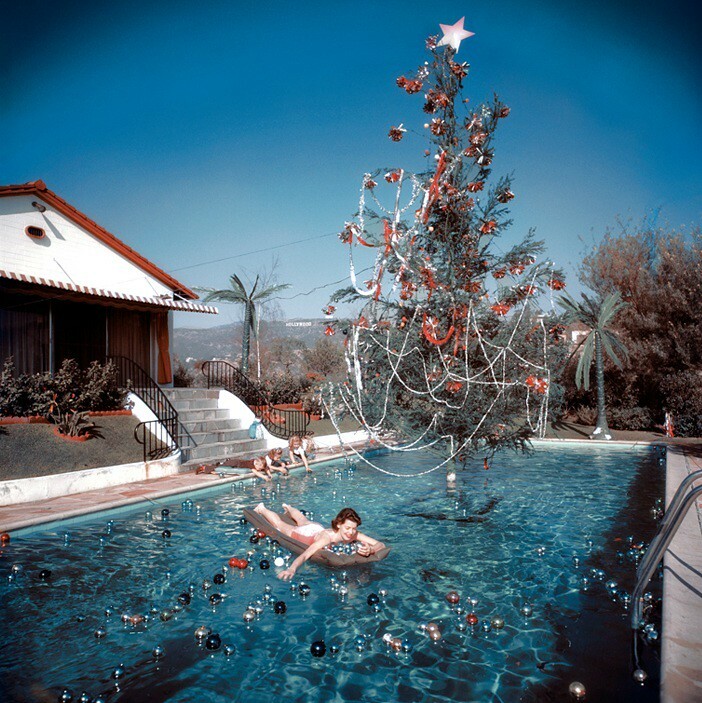 Such a GREAT mid century Christmas photo!